ISB as an management institute has been prodising the Indian industry with the best of talent, managers and leaders over the years. For GyanOne, its been an exciting experience to be a part of this process and journey. This is in continuation if our series of ISB PGP Admissions Success Stories. Rashmi Huilgol: A passion for speaking which began early for Rashmi Huilgol saw her participate in a ton of competitions and co-curricular activities right through school and college. Being part of debate teams and organizing cultural fests was a norm for her. Speaking her mind was inborn and therefore being in sales was a natural choice for Rashmi. An engineering degree from KLS Gogte Institute of Technology, Belagavi gave her the thrust she needed. With a natural penchant for technology, she worked with Natural Instruments where she managed several clients across the country and Sri Lanka. Her natural abilities to sell and acquire new businesses for her firm elevated her to the “circle of excellence” in the company. She is clearly on the right path to a great career in sales and marketing thanks to her acceptance into the PGP program at ISB. Spurthi Joglekar: With an impressive profile which boasts of a bachelor’s degree in Civil Engineering from VJTI- the University of Mumbai and a Master’s of Science – Civil Engineering from the University of Illinois, Spurthi’s journey has been magical and filled with experiences that one can only be envious of. Supported by several scholarships, and a strong urge to contribute to sustainable businesses, she was aware that increasing her knowledge and expertise in the areas that touch every point of business was critical. Her 3-year stint at PWC- consulting, Philadelphia as a senior associate helped her to develop the right perspectives. Her contributions at the firm and her intentions of rounding off her technical degrees with a Business degree is what led her to ISB which is where she is currently specializing in Strategy and Marketing. Narendra Mishra: His profile is one of the more unique ones with an accounting background. An undergraduate degree with a focus on accountancy was followed up with a Chartered accountancy degree which pretty much guarantees a well-paying job in a firm. 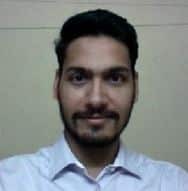 However, not to be satisfied with what can be considered a regular progression in this industry, Narendra gathered valuable experience in the financial industry by taking responsible positions with Special Situation Advisors, Aerion Corporate Advisors and Anand Rathi Financial Services Ltd. All through these years he gained experience in the financial restructuring of large clients. Rounding off this experience with a business degree from a school that specializes in India and this region is something that he always preferred. His focus and resolve to achieve this goal are what saw him through to ISB where he currently is pursuing an MBA with a specialization in Venture Investing, Corporate Strategy and Structured Finance. He also got in the top two MBA programs in Canada BTW! Dreamy Agrawal: With a striking profile that has glorious achievements in the public sector, Dreamy Agrawal is currently part of the MBA, PGP of ISB with a focus on Government and Infrastructure, Public Policy, and Strategy. Her background in terms of experience speaks volumes about the strength of character and the resolve she has to make a change. A minimalistic experience of handling contract management, the bidding processes and tendering in a small-time firm immediately after her Bachelor’s degree in Engineering is what led to a bolder career choice of moving to the Public Works Department of Madhya Pradesh where she oversaw the construction of a Bypass Road in Bhopal completely on her own. This was just one of the projects that she handled. The six years that she spent there made her stronger and firmer about her plans for the future. With ISB being one of the best business schools in India that provides a stimulating environment for young leaders who would like to develop competencies that benefit industry and society alike, she knew she had to be part of their management program. This is one of the many reasons she worked hard to get accepted into this school. Azhar Hussain: A quick look at Azhar’s profile will tell you that he seems to be part of every project that has technology associated with it. Having graduated from the Manipal Institute of Technology with a Bachelor of Engineering in Computer Science, he began to explore a career in the same. Working to create effortless Cloud solutions with Endurance International Group, Mumbai that was headquartered in Massachusetts, USA, gave him the freedom and confidence to experiment and learn several new technologies that were being used by businesses all around the world. He however felt the need to strengthen his profile with an MBA degree. This where GyanOne was able to guide him to success by strengthening his profile and application. The choice of ISB as the right school was not as tough as it offered everything he was seeking in India.